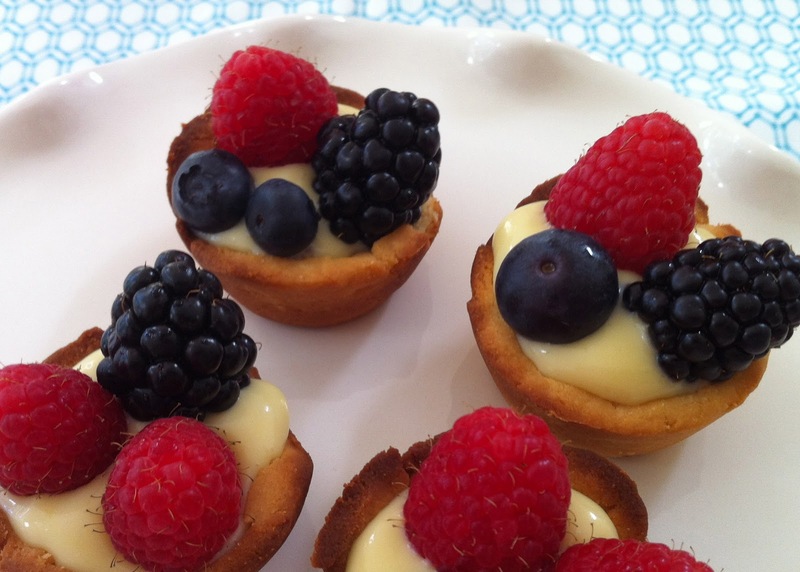 mini fruit tarts | what is clara eating today? Mix cream cheese and better until well blended. Stir in coconut flour. Divide into four portions and roll each into a ball. Refrigerate for about 30 minutes. Place each ball in between parchment papers and roll them out to 3 inch circles. 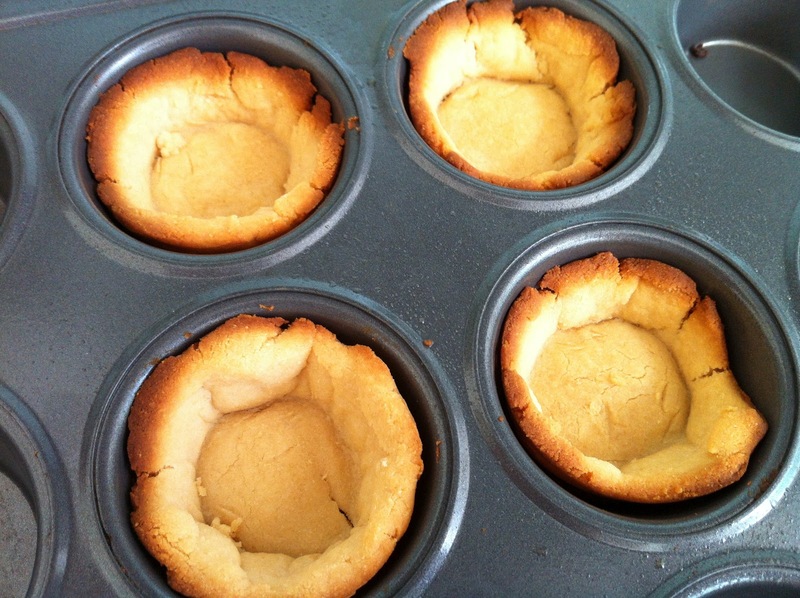 Grease the mini muffin pan (just 4) and gently lay out each circle and press them down to make a little cup shapes. Bake in oven for 8-9 minutes at 325F. In a small bowl, mix egg yolk and Truvia. Set aside. In a small sauce pan, heat the cream and vanilla just until it starts to boil. Slowly pour over the egg mixture as you whip well. Return the mixture to low heat and add xanthan gum and mix for about a minute. Remove from heat and let it cool completely. Spoon in the custard into each shell and top them with berries. Keep in refrigerator (minimum 30 minutes for the custard to set) until ready to serve. Posted in desserts, nut-free, snacks, special day?